Today I had just the lesson I needed from the harbor seals in Half Moon Bay. 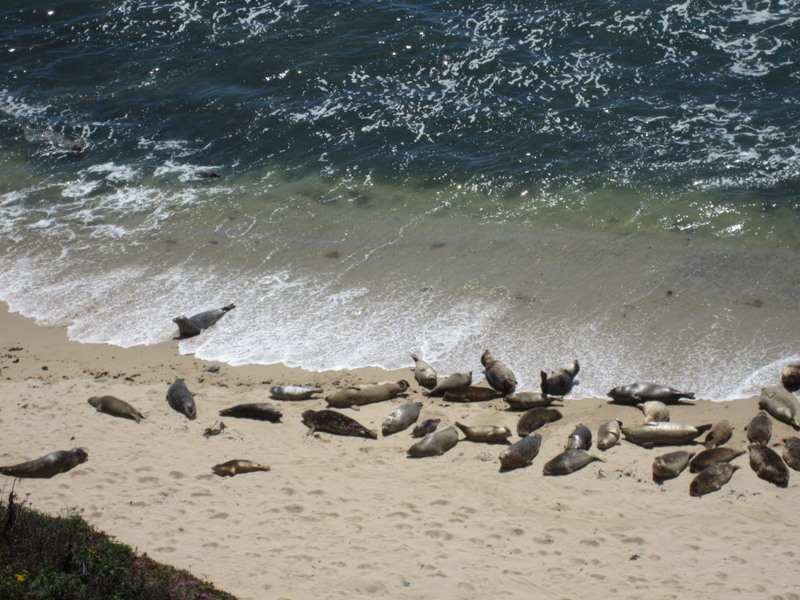 The seals were basking, playing, and sometimes passionately arguing on the warm sand. Some would find their way back out to sea on purpose, while others just waited to be drawn back in by the certainty of the ebb. In either case, they did so not only with grace, but seemingly with glee. They inspired me to move my own body in a relaxed and playful way, and communicate as needed. Even more importantly, they seemed to say, 'it's totally okay to chill out.' I could not agree more.